I am an Associate Professor in the Latin American and Latino/a Studies Department at the University of California, Santa Cruz. I earned my Ph.D. from the Department of Sociology with a doctoral emphasis in Feminist Studies from the University of California, Santa Barbara. I am also the recipient of two postdoctoral fellowships: (1) the University of California, Office of the President’s Postdoctoral Fellowship (2006-2008) and (2) the Woodrow Wilson National Foundation’s Junior Faculty Career Enhancement Fellowship (2013-2014). I am the daughter of Peruvian immigrants and graduated with my bachelor’s degree from Santa Clara University. 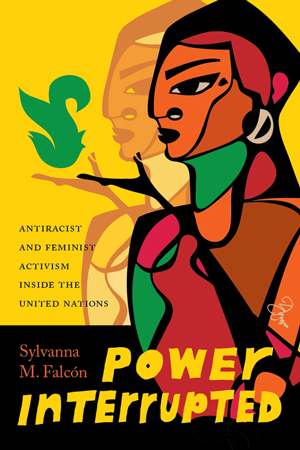 I am the author of Power Interrupted: Antiracist and Feminist Activists inside the United Nations, [University of Washington Press, 2016], the co-editor of New Directions in Feminism and Human Rights [Routledge, 2011], and my work has been published in several peer-reviewed journals, including Frontiers: A Journal of Women’s Studies, Feminist Formations, Journal of Women’s History, Gender & Society, International Feminist Journal of Politics, Societies Without Borders, and Social Justice.